Java Tool for backing up packages (small footprint/lightweight)? In Facebook graph API how to find which all of your friends studied in the same school/University? Anyone used Java Service Wrapper by Tanuki Software? How to create Yahoo email id through java code? 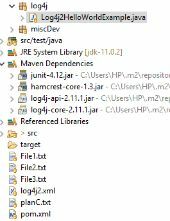 UI management of Java scheduler jobs. How to change the permissions on a remote FTP Server ? How to use error folder of Apache instead of htdocs folder to view error page?